In this section of Carpet Price Guides we’ve put together the most common carpet repair projects that can be undertaken, along with estimates of the likely costs and prices. Our data is gathered from our carpet repair specialists nationwide as well as our reader submitted final prices. Carpet repair is an art and we don’t recommend attempting it as a DIY project. Our qualified contractors have years of experience and specialized tools to fix and complete the work. Ripples, wrinkles and bulges can appear in your carpet when initial carpet installation was incorrectly done, when part of a carpet needs to be taken up and then isn’t reattached correctly or when heavy furniture is dragged across the floor. In these instances re-stretching carpet is a low cost way to repair the problem. Prices for carpet re-stretching, carried out by a professional using a power stretcher, start at $0.30 per square foot ($60 per hour) with prices rising to $0.50 or more if there is a lot of furniture to be cleared first. You can expect a minimum call out charge of $100. It is possible to do the re-stretching yourself, the process isn’t that complicated, but it will require your to rent the specialist tools, like a power stretcher and knee kicker. The rental on these tools means you won’t save that much money on the cost to stretch carpet doing it yourself, but you may find it more convenient to schedule the work on your own time. Water damage, pet damage, fading, cigarette burns and carpet tears can, depending on the extent of the damage, leave you with no alternative but to re-install new carpet. However if the damaged area isn’t too large then carpet patch repair is a viable option. The process involves cutting away the damaged area and blending in a new piece of the same carpet, either from remnants remaining from the original installation or by cutting out an existing piece of carpeting from somewhere discreet, like a closet. This kind of specialist carpet repair work costs about $25 per square foot. So for a typical patch repair of between 5 and 10 square foot you can expect to pay between $125 and $250. Smaller projects, like a cigarette burn, will still be priced around $100 to cover call out costs. These prices assume that you already have the replacement carpet. Please be wary of buying online carpet repair kits. These repair kits can seem very appealing, priced as they are at around just $30, but more often than not they are either of poor quality, or simply not unsuitable for the intended repair or type of carpet. Even if they capable of doing the work they are designed for, they can do more harm than good in hands of an inexperienced homeowner. It really does pay to hire an experienced professional who can give you a guarantee for their work. A loop construction carpet, like Berber, can be prone to snags and runs. 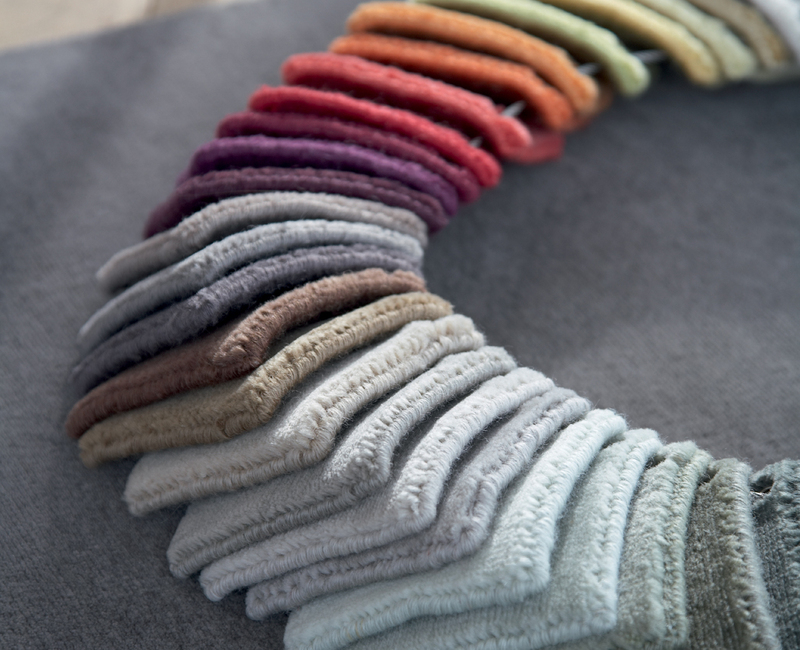 This can happen anywhere on your carpet, but loose or frayed seams are particularly common. Carpet seam repair or snag repair will, as with patching, requires some of the yarn/ thread from your existing carpet, taken from an inconspicuous area, in order create an invisible fix. Berber repair pricing is affected by the size of the job and your distance from the carpet repairer. Qualified professionals charge between $60 and $80 per hour, often with a one hour minimum call out fee. Sometimes your carpet padding will need replacing before your carpet does. In these instances you will pay for the pulling back of your carpet, removal of the existing padding, installation of new padding and re-stretching your carpet back on top. The cost, without moving of furniture or disposal of old pad and without supplies (eg new padding, seam tape and adhesives etc) will be $200 to $250 for a room of 150 to 200 square feet. If only replacing padding in one room smaller than 150 sq/ft a minimum call out fee of between $100 and $150 is likely. A word on carpet replacement cost…should any damage or wear and tear to your carpets mean that carpet repairs are not possible or cost effective then your only choice will be the complete replacement of your carpet. The one upside to this scenario is that the cost to replace carpet should not be as high as the cost to install carpet flooring from scratch. Moldings, tack strips and sub floor preparation will already be in place so it’s just a question of cutting and stretching the new carpet into place. Remember you can also save yourself money by moving out any furniture and disposing of old carpet yourself. On all these carpet repair costs you should expect to receive a 1 to 3 year guarantee on the work carried out. 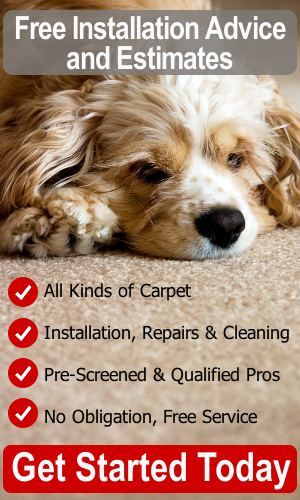 In some cases repairing your carpet will either not be possible or simply not cost effective. In these situations you should consult our carpet prices to calculate the cost to replace your carpet. Q: How long does carpet last? A: In a household of 2-4 people and average foot traffic, the typical lifespan of carpet is 7-10 years depending on its quality, whether there are pets in the home and the regularity of care and cleaning.